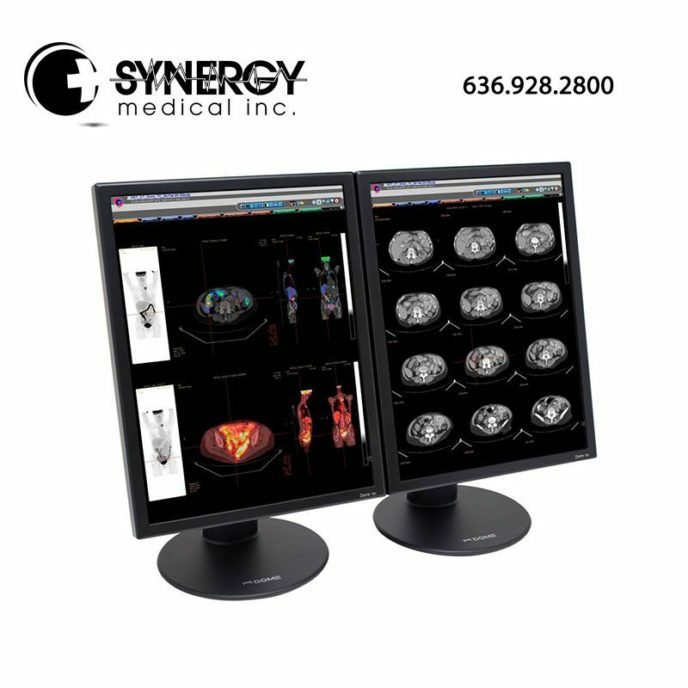 The NDS DOME S3C is an all-in-one radiology display deployable throughout the hospital enterprise. The NDS DOME S3C Radiology Displays are fully factory characterized using a nist-traceable photometer, providing the highest quality characterization of any radiology display. The characterization data is stored in the panel and allows the display to remain in perfect dicom calibration for the life of the display. No additional field calibration is ever necessary. Rich, 30-bit color allows over a billion different shades to be displayed for viewing even the most subtle hues of color diagnostic images. DOME S3C displays use intelligent engineering for sleek, low-power, fanless designs. No mechanical fans to fail or draw in dust which can cause electronics to fail prematurely. For more information on the NDS DOME S3C Radiology Display, please visit ndssi.com. stored in the display and remains available throughout the product life. DICOM Conformance Testing DICOM conformance maintained by RightLight™ internal photometer. Automated conformance testing through RightCheck front sensor.